Family names are a problem that I know something about. My father is also James, and his father was a James, and so were two others before him. The redundancy can complicate very trivial, ordinary things like bank accounts and family gatherings, but the confusion must be exceedingly acute if your father with whom you share your name was the President of the United States. Theodore Roosevelt III was the eldest son of America’s 26th President, the Bull Moose himself, and it is safe to say that Roosevelt the Younger had a pair of impossibly large boots to fill. 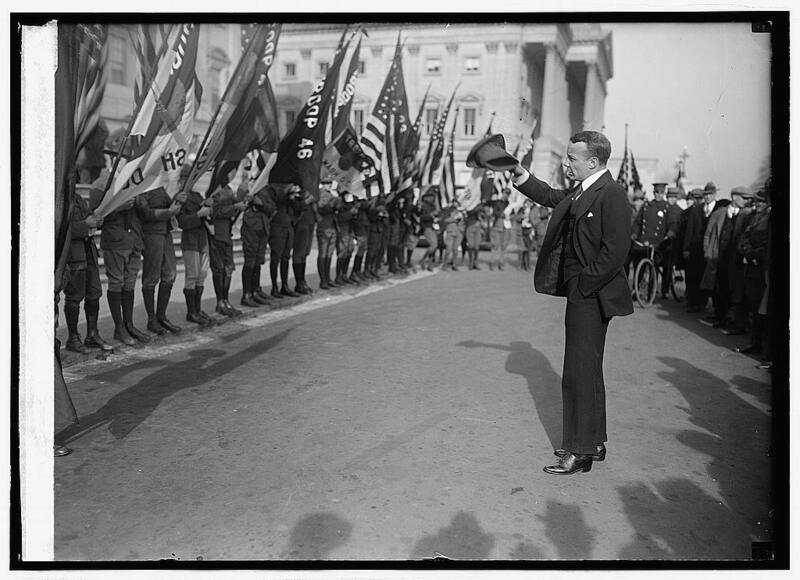 Father and son both served as New York State Assemblymen and as the Assistant Secretary of the Navy, but their parallel trajectories didn’t last long, and in the end, President Roosevelt even eclipsed his son in years. In 1944, Theodore Roosevelt III, then a brigadier general, died at the age of fifty-six, in France, thirty-six days after the Invasion of Normandy. 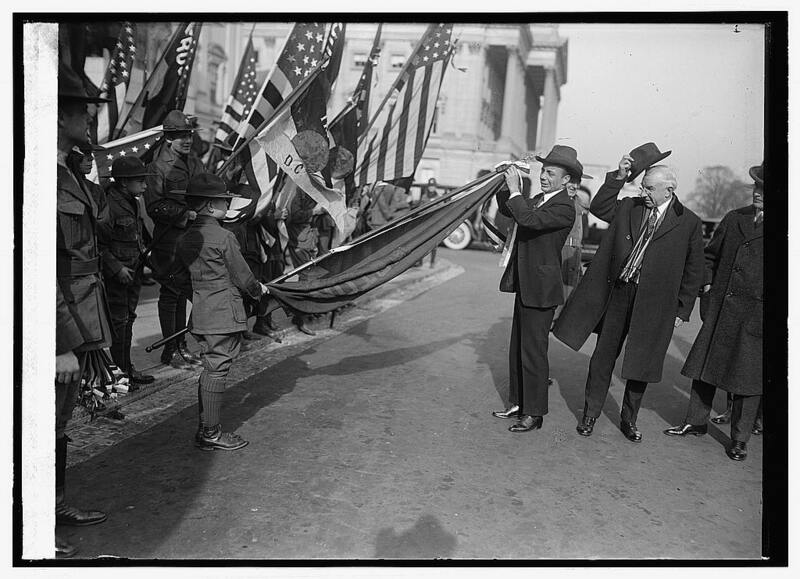 Roosevelt the Younger was not a Boy Scout, but he championed the Movement throughout his life. 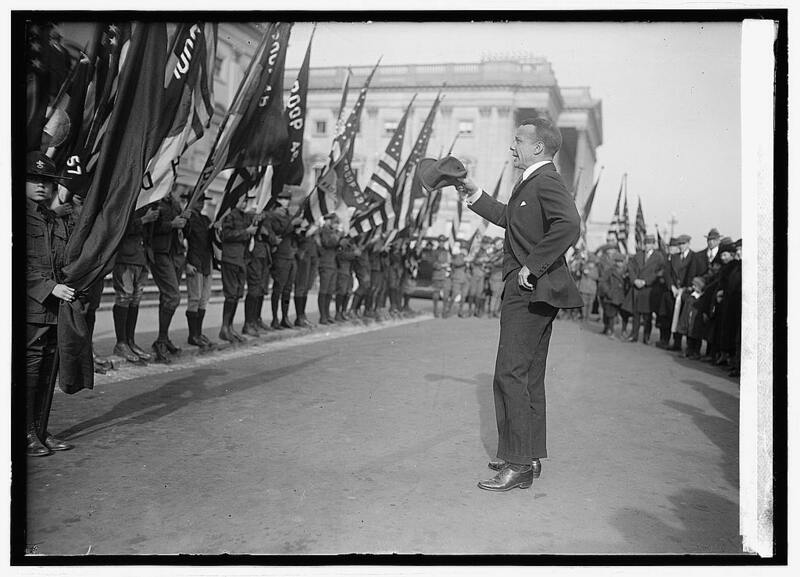 In 1937, Roosevelt delivered an inaugural campfire speech at the first National Jamboree, held on the grounds of the National Mall in Washington D.C.
Roosevelt said that his father was not a preacher, but he was a stern teacher who inspired useful action through his clarity of thought and speech. In the excerpts below, it’s possible to see how the voice of Roosevelt’s father spoke louder than his own. 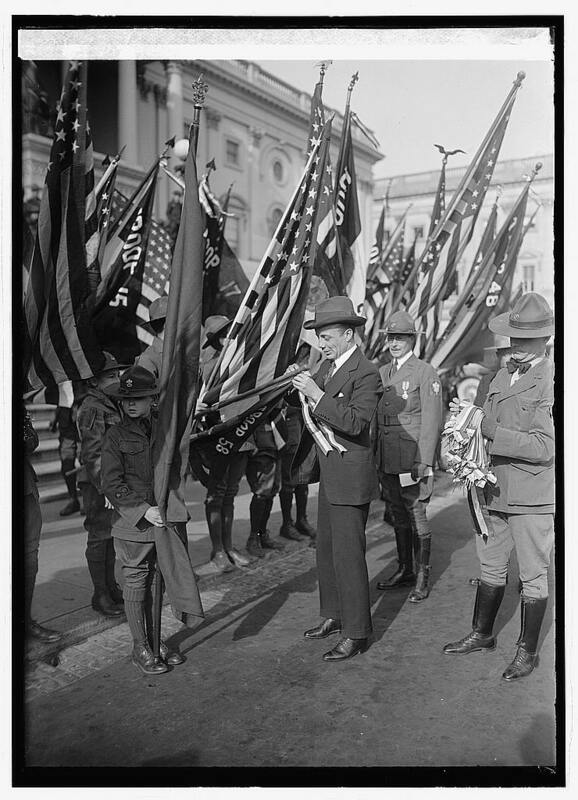 To learn more about Theodore Roosevelt III and the Boy Scouts you may want to look at this post at Millard Fillmore’s Bathtub.